One of the most favored fruit in the world is strawberry. It is a delicious small fruit widely appreciated mainly for its characteristic aroma, its bright red color and it is consumed in large quantities whether fresh or in prepared foods. 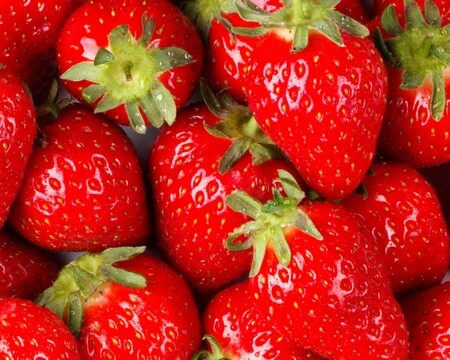 Strawberries are rich in vitamin B, vitamin C, fiber, folic acid and potassium. The word strawberry is believed to be originated from two the old English words “streaw” and “beirge”. Linguists believe the word straw came into use from the straw-like runners that grow from the plant. According to popular legend, the word actually derived from the practice of farmers placing straw under the plant to prevent the fruit from touching the ground and becoming spoiled. Strawberries were not considered a major crop so often children from London and other towns would be allowed to pick the fruit themselves which they would tie onto pieces of straw to sell in the town markets yelling “straws of berries” to get attention. Many of the children were not educated and would mispronounce their call as strawberries. Strawberries are grown in America, Europe and Asia but many varieties have also been successfully grown in Australasia and Africa. The red juicy fat varieties that are common today are the descendants from varieties that were cultivated after strawberries were discovered in North America and were bred to increase their size and improve their taste. Strawberry plants are not very difficult grow and they can be grown almost anywhere in the world. A plant can be bought in early to middle spring and placed in sun light and in somewhat sandy soil. Strawberries are strong to survive in many conditions but enough water is needed during the time that the plant is forming fruit. Strawberries can also be grown as a potted plant and will still produce fruit. A strawberry plant will send out shoots in an attempt to propagate a new plant and if left alone it will be successful in doing so. This shoot can be cut off and placed wherever you wish to start a new plant. 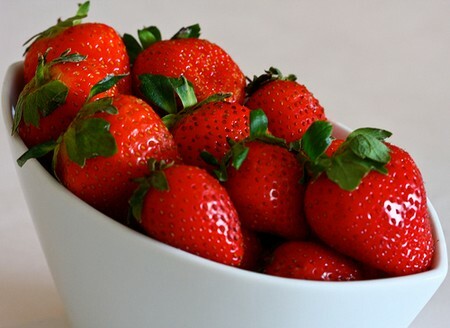 Strawberry plants were used as a traditional Chinese medicine for most of the 26th Century BC. The leaves of the strawberry plant were used to make a weak tea that was thought to detoxify the body and aid in reducing the effects of aging. It is not known when strawberries were first eaten by humans. Strawberries were one of the native fruits of Italian peninsula. The fruit was not believed to have been terribly popular but nevertheless they were taken to other parts of the empire by Roman settlers and traders. A medieval seer – St Hildegard of Bingen declared strawberries as contaminated by undesirable animals and should not be eaten by humans as they could poison the human body with mucus that would fill the lungs leading to eventual death. The North American strawberries were cross bred with the traditional European varieties during the middle of 1700s. They were becoming popular on the social scene not just as a fruit but also as an ingredient for small desserts. A number of new varieties were developed for the sweetness of the taste and perfect size and coloring. Strawberry preserves were also reinvented becoming the ancestors of today’s jelly and jams. A Swedish botanist and doctor of the 1700s named Charles Linnaeus prescribed a diet of only strawberries believing that rheumatic gout could be cured if strawberries were eaten every day. According to him, the leaves of the strawberry could be dried served in tea and would help cleanse the bowel and relive acid buildup. Modern medicine evidence suggests that this is not true and strawberries are nothing more than a tasty treat. Strawberry flavored beauty products have become popular during the late 20th century. This had led to a substantial increase in the cultivation of strawberries with many products like shampoos, facial cleansers, soaps and moisturizers requiring high quantities of strawberries in direct comparison with the number used for desserts.